At Dolphin Scuba Center, we have literally thousands of accessories, both small and large for you to use, both in and out of the water. 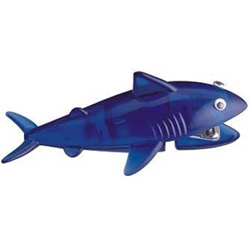 From our cute shark stapler to a dog collar to a 50-pound weight lift bag, there are all sorts of things that a diver must have! If you are looking for a perfect gift, either large or small, you might just find it here. If you still can't find just the right item, please feel free to call our friendly, informative staff. We have the best customer service in the industry, and we would be happy to help you. Apollo Scuba Diving Bio-Filter 3/8"